In this region, Augustana’s reputation is second to none. Prospective employers, civic and business leaders hold high regard for AU and its graduates. Augustana University graduates number nearly 30,000 individuals around the world. They are innovative thinkers, bright entrepreneurs, creative masterminds and compassionate healers — and they are unapologetic about their desire to build a brighter tomorrow. Forward Under 40: Profiles of AU graduates age 40 and under. Meet some of our notable alumni. See our placement rate data for recent graduates. Outcomes Report: Grad School Choices, Employers, Starting Roles. U.S. News has again ranked Augustana among the best colleges in the Midwest. Augustana is ranked No. 4 (tie) among the "Best Regional Colleges in the Midwest" according to the latest edition of “Best Colleges 2019” by U.S. News Media Group. AU also ranked #4 in Best Value Schools and #4 (tie) in Most Innovative Schools and #8 (tie) in Best Undergraduate Teaching. Learn more about the report. Augustana is ranked the No. 32 baccalaureate college in the nation, according to a recent report from Washington Monthly. The publication’s "2018 College Ranking" rates baccalaureate institutions according to their contribution to the public good in three areas — social mobility: recruiting and graduating low-income students; research: producing cutting-edge scholars and Ph.D.s; and service: encouraging students to give something back to their country. Augustana is again ranked among the nation’s best colleges and universities according to Forbes’ published annual list of “America’s Top Colleges.” Forbes ranked the top U.S. undergraduate colleges and universities based on student satisfaction, post-graduate success, student debt, graduation rates and nationally competitive awards. For the second consecutive year, Money listed Augustana as the Best College in South Dakota as part of their “Best College in Every State” list. AU ranked 277 among colleges nationwide taking into consideration factors such as: cost, graduation rates, academic offerings and social scene. Augustana is ranked among the best colleges in the Midwest, according to the nationally known education services company, The Princeton Review. The University is one of 159 premier institutions included in The Princeton Review's "Best Midwestern" section of its website feature, "2019 Best Colleges: Region by Region." 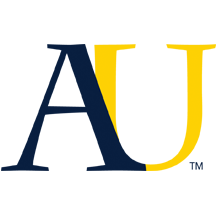 Augustana ranks high in both academics and athletics in the 14th annual NCSA Athletic Recruiting Collegiate Power Rankings amongst more than 1,200 active NCAA member schools. Augustana is ranked first in the NCAA Midwest ranking. The NCSA Athletic Recruiting power rankings assess the academic and athletic standards of all NCAA athletic programs across the country.